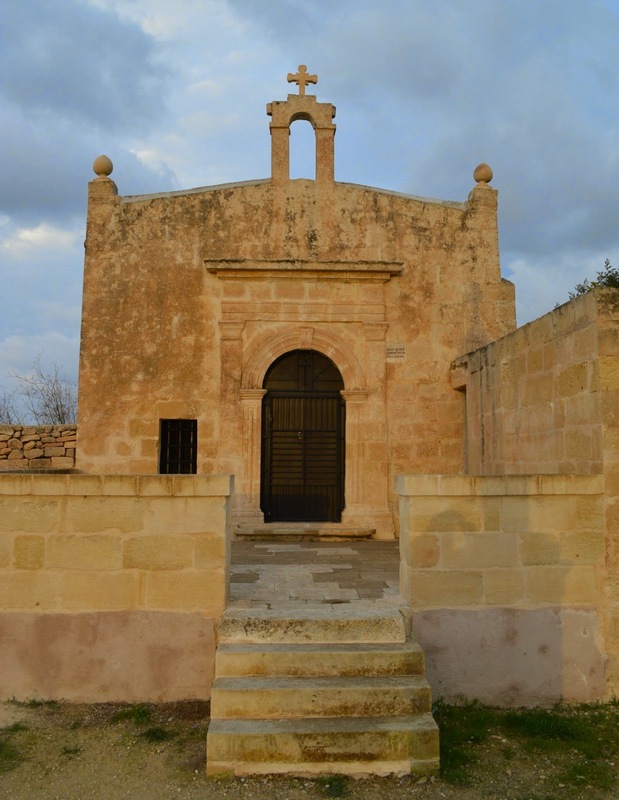 Like an attractive sister that is routinely upstaged by her beautiful sister, the chapel dedicated to St. John the Evangelist in Zurrieq is often a footnote to the day of those visiting the Chapel dedicated to the Annunciation – better known as the Hal Millieri chapel – its more historically laden neighbour that stands just a few steps away. In a way this is understandable. 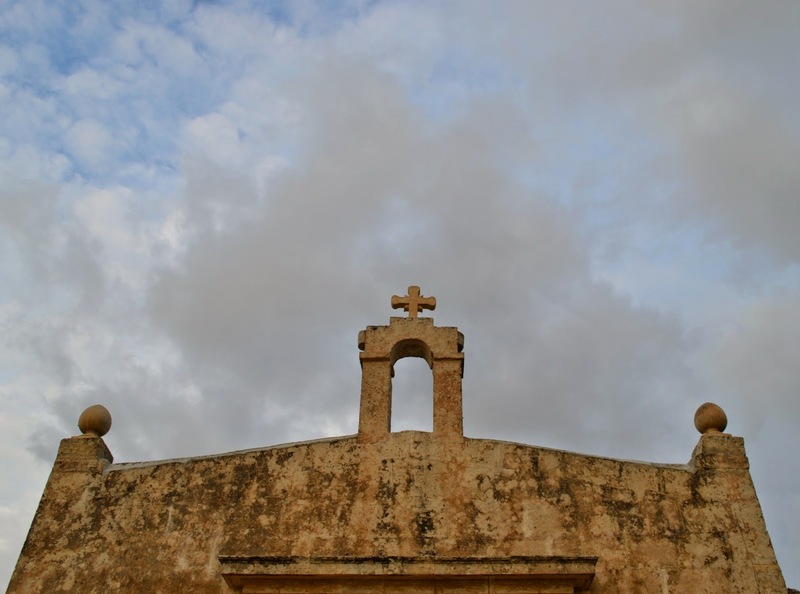 The Hal Millieri chapel has claim to greater historical and artistic values so it is only natural that most of those who make the trip do so to with the stated aim of giving it a visit. Yet, often, that focus stops people from appreciating the beauty that lies elsewhere. 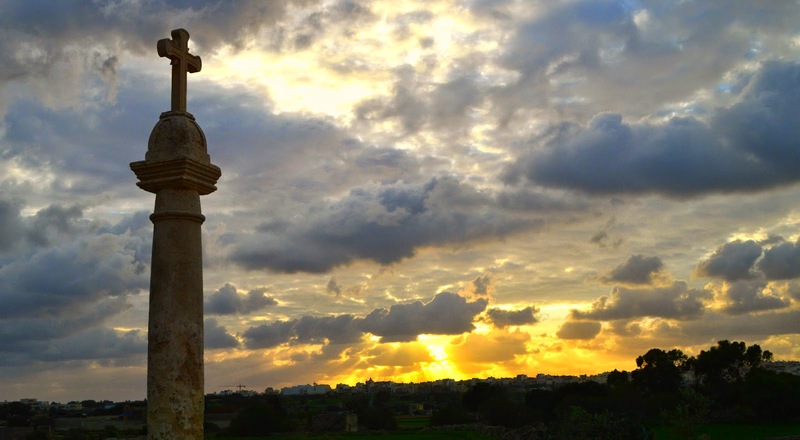 Indeed, the narrow path that leads to the Hal Millieri chapel from Zurrieq first takes you past that dedicated to Saint John the Evangelist and when this comes into view, surrounded as it is almost exclusively by countryside, is a quasi-magical experience if you bother to take it in. According to the information rich kappelliemaltin.com the present chapel was rebuilt in 1640, replacing a previous on that dated back to 1481 but which had been deconsecrated by Monsignor Pietro Dusina in 1575. Even so, this too fell into disrepair until a local priest, Dun Gakbu Gauci arranged for his nephew Frangisku Gauci to restore it in 1822. This became something of a family tradition because in the twentieth century Dun Guzepp Gauci employed Frangisku Gauci’s son to further extend the structure. This work was completed by 1961 and the chapel was blessed by Bishop Gaetano pace Forno. 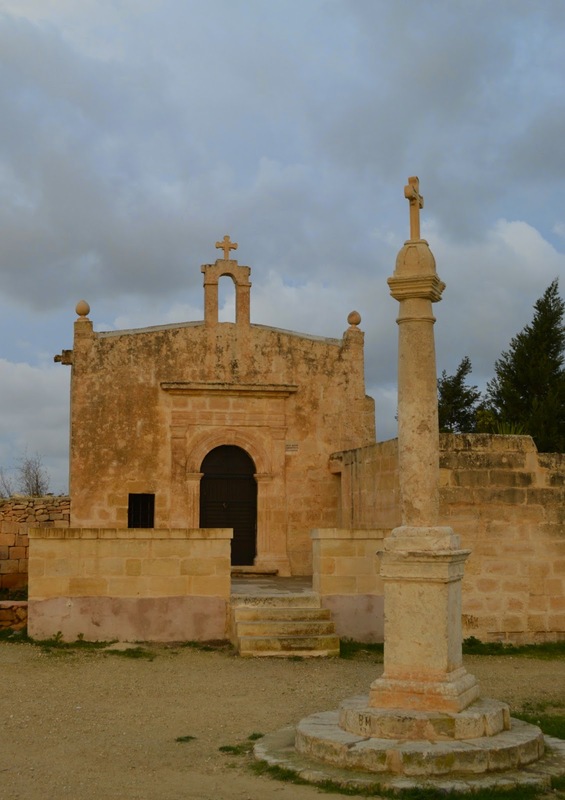 In front of the chapel there is a cross on a stone column, a reminder of yet another chapel that had neighboured that of St John the Evangelist (indeed, the two chapels shared the same parvis) and which had been dedicated to Saint Michael Archangel. 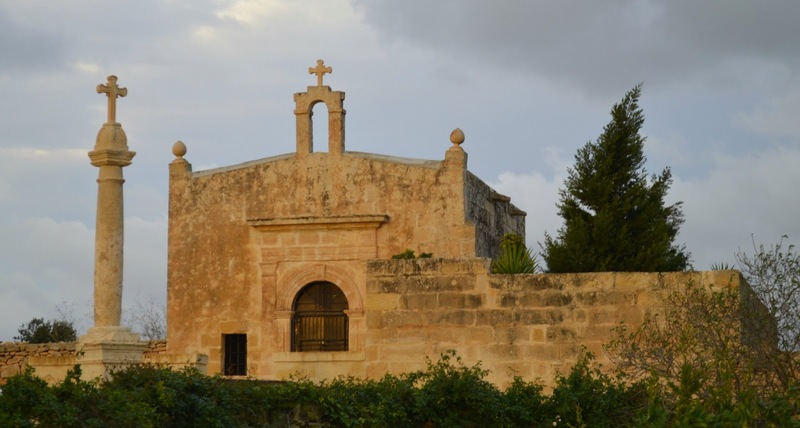 That chapel had been deconsecrated in 1667 by Bishop Buenos and, in time, had been torn down. Indeed this whole are seems to be a nod to the past. One of the most striking features of the chapel of Saint John Evangelist is the elevated parvis that lies in front of it. 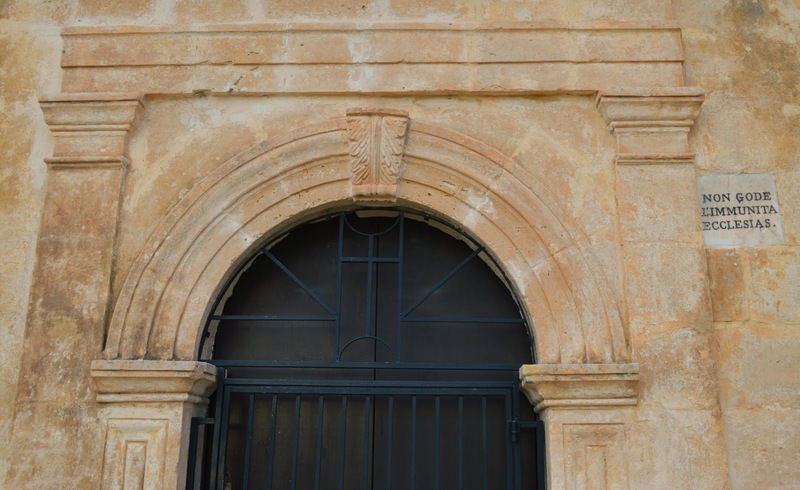 This, it transpires, was the parvis of the Zurrieq parish church before it was replaced by a bigger one. Confirmation that our ancestors applied recycling even before the term was coined (and most probably appreciated its importance far more than we do).